Home SELECTED NEWS Have you been eating your burger WRONG? Have you been eating your burger WRONG? Eating a burger without making a mess can be challenging. The toppings usually fall out, the sauce ends up dripping down your hands and you are left with melted cheese all over your fingers. But according to burger connoisseurs, we have been devouring the food wrong all along. 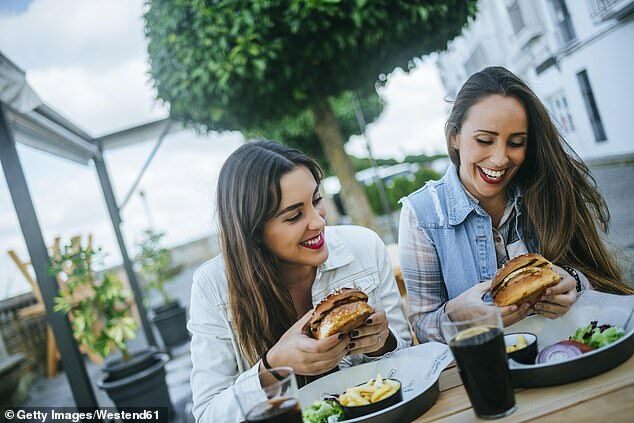 Here, Simon Dukes, founder of the UK website Burger Lad, revealed the perfect way to eat a burger without making a mess – and you may be surprised. ‘Burgers are served the way they are purely for aesthetics,’ Mr Dukes told Business Insider Australia. ‘The crown [the top of the bun] is generally thicker than the heel, so for a better eating experience, you should actually flip it upside down to eat it. Foodies suggested flipping the burger on the plate as soon as you get it while others claim the food tastes better eating it upside down. ‘As one bites down on a hamburger their tongue touches the burger from the bottom, meaning that toppings are easier to taste when a hamburger is upside down,’ one Reddit user said. ‘The tongue will come into contact with the toppings just before the patty, which is the ideal circumstance. In June, Stefano Cirene – whose restaurant was crowned Australia’s Best Pizza in the 2017 Pizza World Championships in Italy – revealed the correct method to eat a traditional Neapolitan pizza. 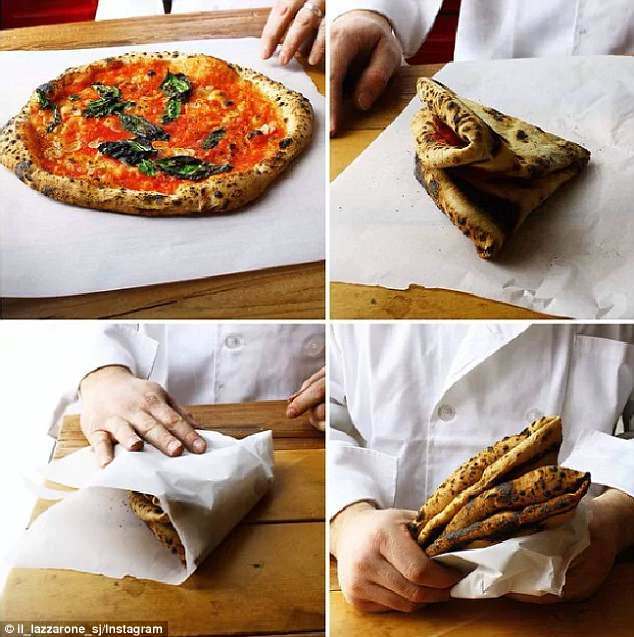 To ensure your toppings don’t slide off, the owner of Verace Pizzera in Sydney said we should actually tuck into pizza by first folding it into a wallet shape. ‘Basically you need to pinch the edge of the pizza, the left and right sides should touch – and it must be soft – that is the rule of the pizza Napoletana – it must never be crunchy,’ he told News Corp.
Mr Cirene said folding the pizza is how people eat it in Naples. ‘It was a street food to be eaten on the go, almost like a sandwich or portafoglio (meaning wallet),’ he said. Folding the pizza using this method instead of slicing into perfect segments means the toppings stay in their rightful place, and there’s no leaky sauce. So put away your pizza cutter – and your knives and forks – all you need to do is fold the pizza in half once, and then a second time.